This is such a beautiful palette that photographing it was easy-I love the way these photos turned out and I am no expert whatsoever. I just gather up a few products and hope for the best to be honest. So Tom Ford eyeshadows. All of the ones I have tried have been exceptional. They are buttery and smooth, they blend seamlessly and they're beautifully pigmented. Yes they're very pricey but they're beautifully done from the inside out. Silvered Topaz contains four beautiful shades-a matte, two satin/borderline shimmery and an uber shimmer. The top right is a luminous silver-it feels quite gritty, almost glittery but not quite yet it applies seamlessly with no fall out. The top right is a satin aluminum grey and the bottom left is the sort of shade I live for-a taupey mink shade that is so smooth and luminous and buttery. The bottom left is a matte aubergine-it's pigmented and super easy to blend. Now despite my rave review of the formula, you'll be surprised to know this is going into my next blogsale. I've come to realise that sadly on me, these silvery tones just don't work. 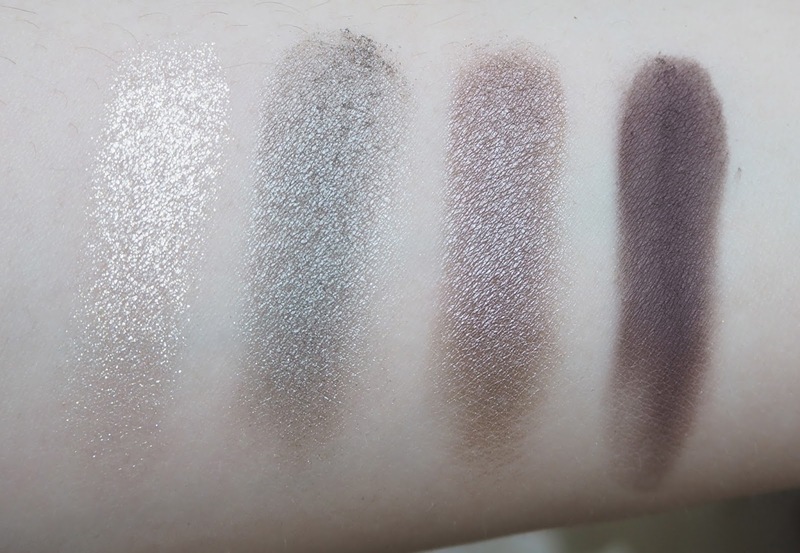 They make me look a little washed out and unwell and given the vast amount of eyeshadow I own I just feel this palette would benefit from a loving home elsewhere-and it is an amazing palette that would be loved. So keep an eye out for my next blogsale-there is going to be tons of good stuff in it-and I think it will be going up on my blog around the 17th June.